The 2018 Volkswagen Atlas interior delivers the spacious luxury Chicago families deserve, bringing the practicality, dependability, and safety of the VW brand to a three-row crossover. The Atlas delivers 153.7 cubic feet of interior passenger space and up to 96.8 cubic feet of flexible cargo capacity. The drive to LaGrange is easy and safer with class-leading third-row legroom, dual-zone climate control, room for multiple full-sized safety seats, and more. The expansive sunroof runs almost the full length of the vehicle, ensuring that back seat passengers are never left in the dark. Schedule a test drive of the 2018 Volkswagen Atlas and learn why this well-designed interior has Naperville drivers making the trip. 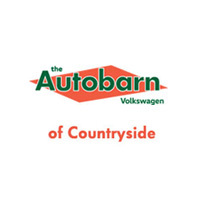 Contact Autobarn VW of Countryside at (708) 469-4248 to see how the Atlas measures up to the competition.